I have read and agree to the Apache Software License 2.0 I also understand that Flings are experimental and should not be run on production systems. Because Dispatch and serverless is still in its infancy, understanding use cases is the highest priority. It therefore makes sense to continue to focus on getting Dispatch in as many hands as possible and making it as easy as possible to get started exploring its usage. 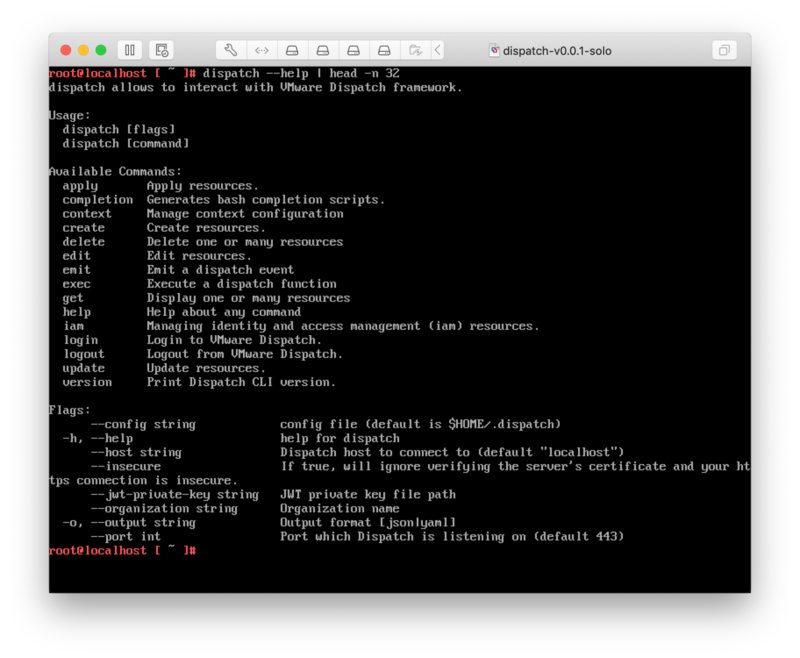 By packagig Dispatch-Solo as a VM appliance, getting started is quick and predictable. Summary Requirements Instructions Changelog Comments Bugs See the Quick start Guide on the project page.